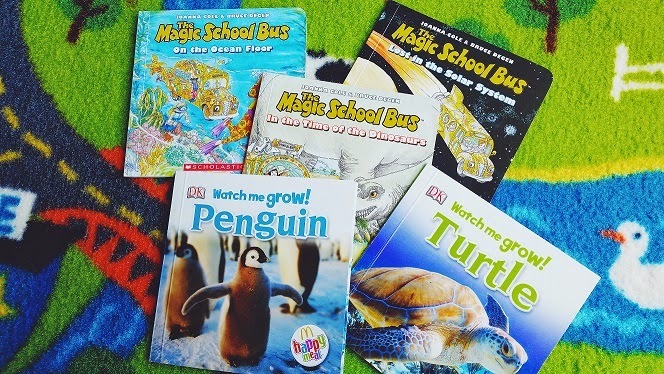 For those of you that missed out on last year's McDonald's Happy Meal mini books, they are back again this month :D Unfortunately, the Magic School Bus isn't included in the line this time around but there are heaps of DK animal Watch me Grow books. I like these as they present amazing animal facts into bite sized information chunks that are visually engaging plus easy to cart around. Did you know that baby penguins are born with an egg tooth to help them break open from their shell? 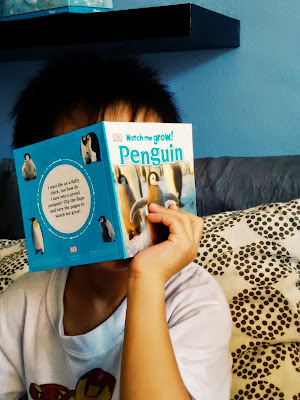 The Penguin book is one of Bub's favourite and we've been using it together with a tiny globe that my Mum gave him to show him where the they live. I've been trying to build up our non-fiction library so these are really gems and I can't wait to get more of these!